Accessing the Internet in Iceland is simple; Iceland Hotspot from Trawire offers unlimited 3G/4G Internet network in 98% if Iceland, allowing you to keep in touch with friends, colleagues, and loved ones at any time. Best of all - It's Icelandic and with local support! Access the Internet over Mobile Broadband with the Personal Hotspot! Power the WiFi everywhere – In your rental car, mobile home or cottage. Hiker? Place our WiFi device in your pocket or backpack. If you plan to do some serious surfing, make sure you check out our unlimited mobile pack for wireless data transfer. 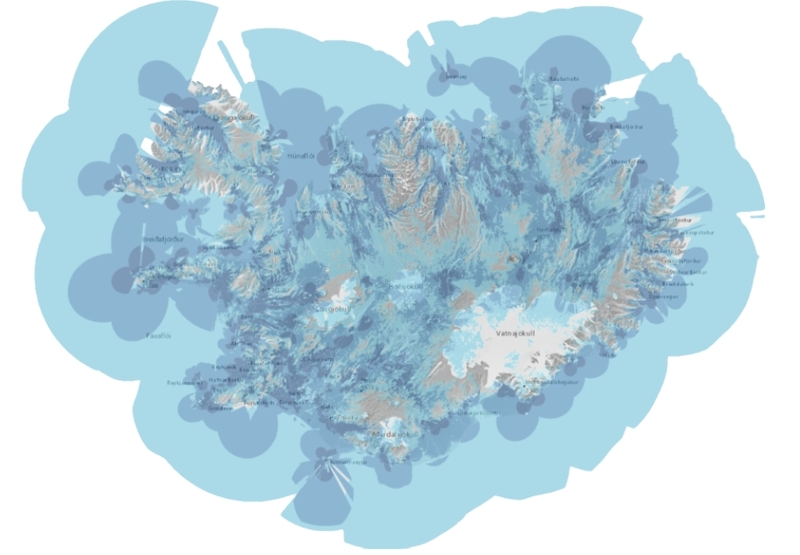 Make sure you join the largest 3G/4G network in Iceland. For your convenience, Trawire in co-operation with Siminn offers unlimited 4G Internet service featuring no termination fees and no contract. You simply select a device and get connected with few commitments, no credit checks, no throttling and no hidden fees. Each contract provides the user with unlimited 3G/4G normal usage, which is monitored by Trawire. We monitor every 4GB usage. This monitoring keeps us aware of your data usage and if needed termination of unlimited usage and potential surcharges. What could terminate my unlimited data usage? If the SIM card is removed at any time and used in another device it will terminate the unlimited usage agreement. Also, if the rented device is used for upload of illegal or harmful content to the Internet the unlimited data usage will be terminated as will the rental agreement. If terminated Trawire will charge the credit-card used for the security deposit, for USD 16 for every 4 GB of usage. For more info see our FAQ’s.